Question about this header on TV power supply. I had my Samsung F6400 open today for regular dusting and checking capacitors when I saw a 2-pin header all alone and unused on the power supply board. 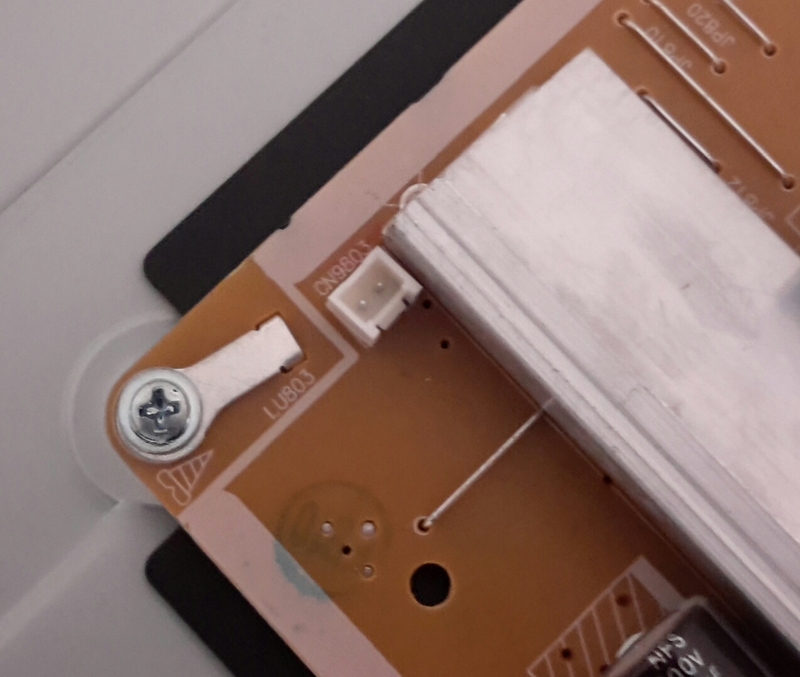 The TV is out of warranty so I figure modding the back for a 120 or 140mm fan may help to extend its life a little. Does anyone know if this header can power a fan? You are posting a reply to: Question about this header on TV power supply. You are reporting the following post: Question about this header on TV power supply. In reply to: Question about this header on TV power supply. Note: I own this one. In reply to: Undocumented from my search. I've used this plugged into the USB ports.